Set goals! Dream big! Push forward! What’s next?! These are all things that competitors say to themselves. We are, after all, competitors. Winning, going big, and doing what no one else will do is part of our every day. We must move something forward otherwise, in our minds, we are falling behind. But that doesn’t mean we should never take the time to look back. Our yesterdays are just as important as our tomorrows. 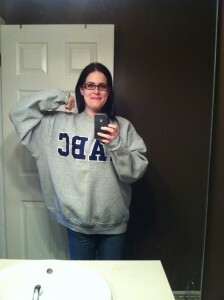 I got rid of all my ‘fat clothes‘ except for one lone sweatshirt that I wore in college. 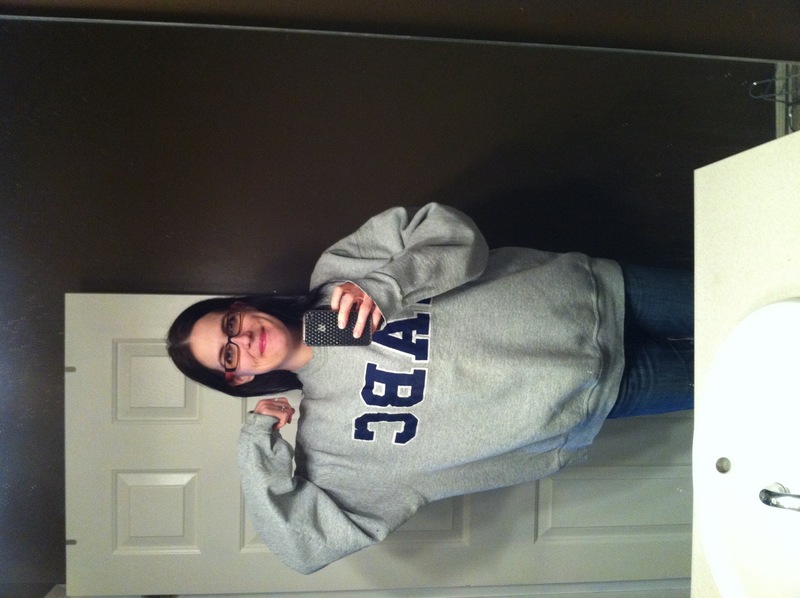 It was a wee bit oversized when I wore back in the day, but it did in fact fit. Putting it on today, I felt the woman that I used to be and I sat in her skin for awhile, remembering how it felt to be her. There was muscle under all that fat; it was just hard to find or use. Then I pulled out the journals. You may already guessed this, but I love writing. 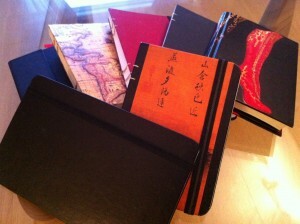 I have been writing for years and years; capturing my life one day at a time with ink and paper. My life, thoughts, and experiences caught between mere pieces of paper by a ball point pen. If I hadn’t taken the time to record my yesterdays, I wouldn’t have been able to go back today and remember the dark, sad, and hellish place I travelled out of. Today I received the gift of feeling the pain of yesterday. You can’t tell what people have gone through or endured from their outsides. They may just possibly know the way out of your today because they were just there yesterday. Your yesterday may be someone’s today. I love the last part there, you certainly can’t tell what people have gone through or what their journey is, so give them a chance! AND, just look at how far you’ve come. More importantly, look at how far you’ve come without realizing you had any kind of medical issues. You are a survivor and you should be so proud of that!! You’re such an inspiration to us all, that’s why you’re so loved!! What an inspiring story. I read your post titled Judged. Next time you go to competition, think how far you have come. Never, never forget. Hold your head high. Like you said, each person has a story, including those ladies you compete against. Your fitness journey has taken you far away from those “fat clothes”. You may have gone further than any of them, for that you are a winner every single time.